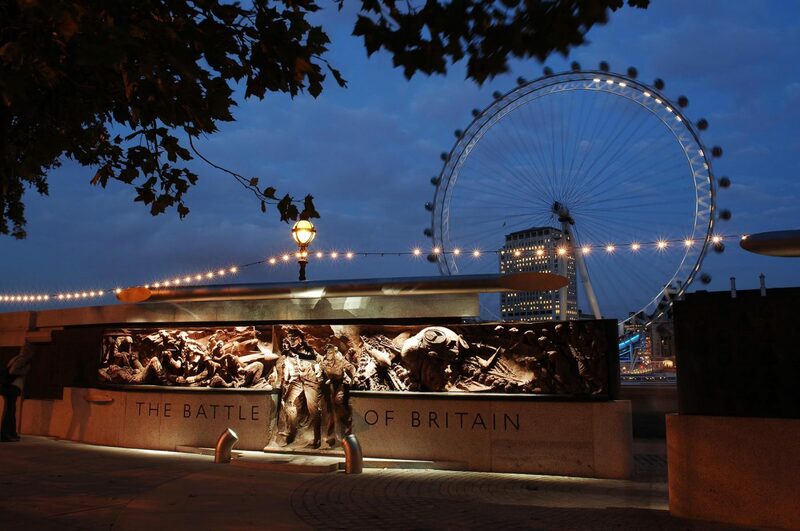 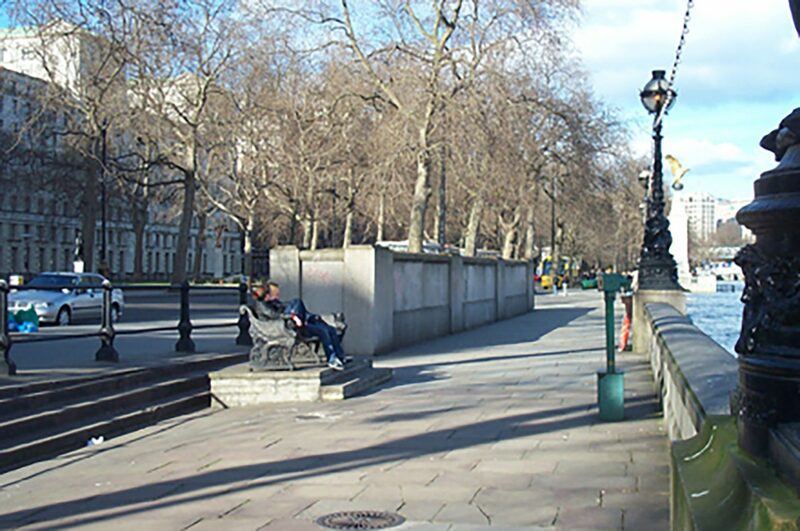 This monument on the Victoria Embankment incorporates figurative bronze panels in high relief by the sculptor Paul Day, who was awarded the commission following a limited competition organised by ourselves. 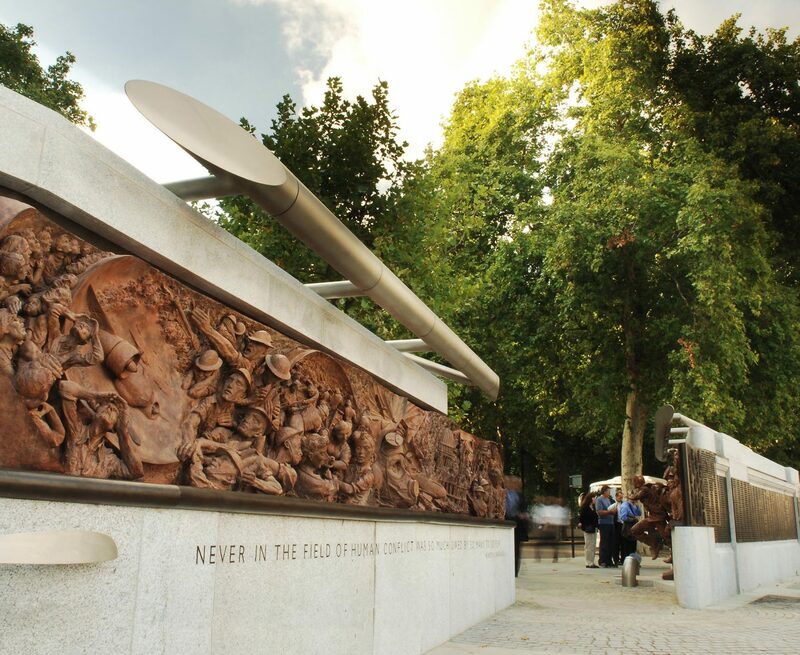 In addition to collaborating with him on the design of the monument, which displays his reliefs on either side of a walkway cut obliquely through an existing 25m granite structure, we have dealt with complex planning negotiations and press and PR for funding. 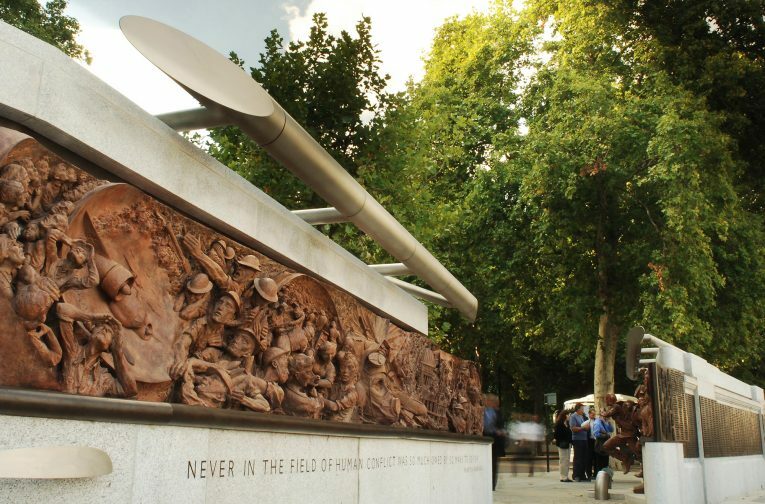 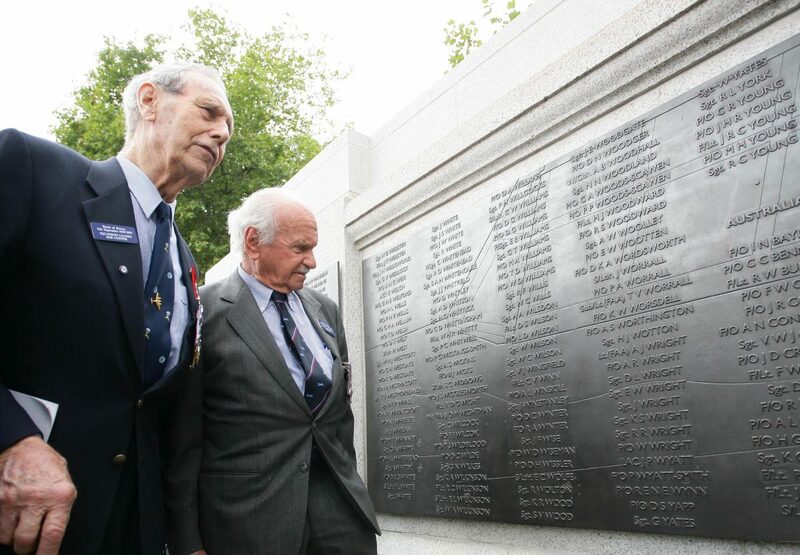 We designed the plaques which surround the monument, showing the names of the 2,936 pilots and aircrew, and the lighting system which illuminates the work at night, as well as administering the contract on site.